This magnifier stands on its own, on the floor, so you can work from pretty much anywhere. Since it is freestanding you have both of your hands to focus on your project and you aren’t confined to a desk or worktable. Sit it next to your couch, move it around your puzzle table, wherever you need it, feel free to take it. 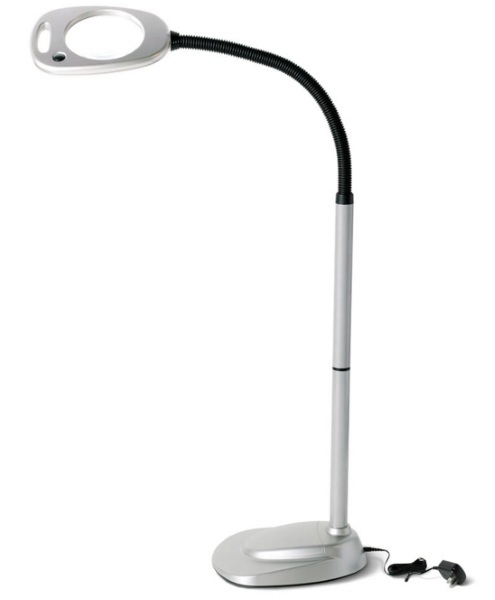 It has 12 LED lights, evenly spaced so that you can illuminate your work or reading. It magnifies up to 2X and also has a bifocal area that allows up to 5X magnification. The gooseneck lets you adjust it easily as you shift in your seat. Don’t let bad eyesight slow you down. 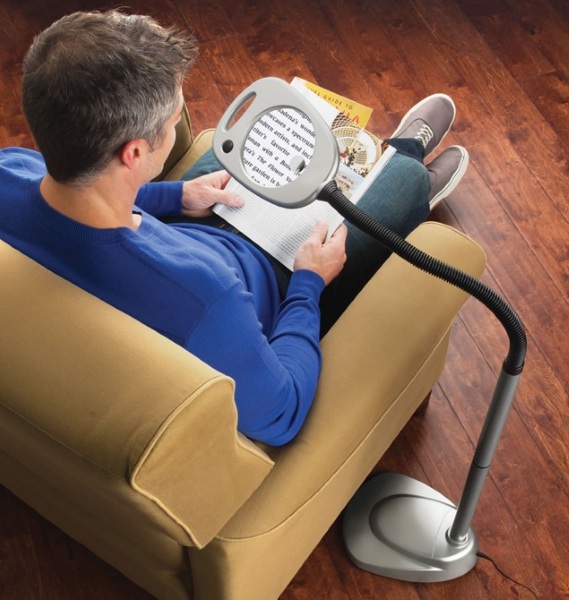 The Best Floor Standing Magnifier is $129.95.